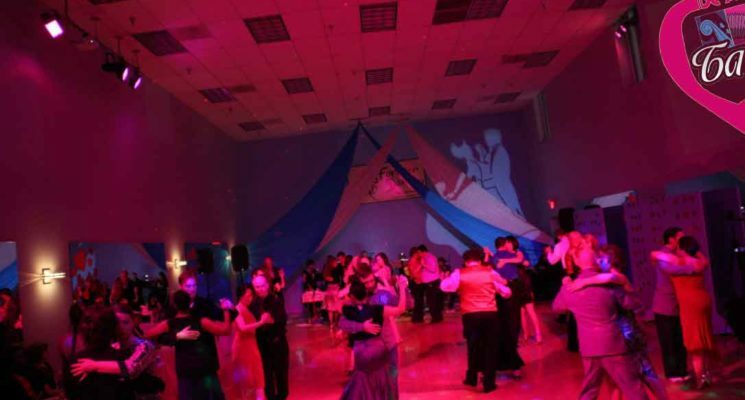 9:00PM to 1:00AM – “Welcome Milonga” with DJ Eduardo Goytia from New York. Dress code: Social dance attire. Dance shoes, suede or leather soles natural color (no sticky black soles, that leave scuff marks, and may cause injuries, even if it is a dance shoe you bought in Buenos Aires). Argentine Tango Showdance (Stage Tango) Competition. Argentine Tango Scholarship. To see Tango Mercurio Community Orchestra performing click here! Personal hygiene is essential for an enjoyable dancing experience. Bad breath, body odor and excessive perspiration are common offenders. Be sensitive to your fellow dancers. Excessive use of cologne, perfume or any chemical can be just as offending, and never a replacement for bathing. Dress appropriately for the event. Check the dress code of the milonga and remember that tango is an elegant dance. Wear shoes with heels to help properly distribute your weight forward; they should also allow you to turn on the ball of your foot with ease – this applies to the gentlemen as well. If you are interested in dancing, show your intentions.Try not to carry on a prolonged conversation, give room to those looking to dance. Always ask for a dance in a polite manner, whether verbally or non-verbally. If you must decline a dance offer, do so sincerely. The best way to decline an offer is to not get one in the first place; stay engaged in activities, like conversation, that deter others from asking. Gracefully accept any rejection to a dance offer. One’s presence at a dance event is not an obligation to dance with everyone. When proceeding onto the dance floor, do so cautiously. Dancers on the dance floor always have the right of way. Never walk across the dance floor while other people are dancing. Accepting to dance is an obligation to dance the entire song. Dancing multiple songs in a row with the same partner is common practice. If you decide to dance another song, it is not necessary to thank your partner. In Argentina, thanking your partner signifies your desire to conclude the dance. If a live band is performing, face the stage and applaud after each song. Respect your partner at all times during the dance. It is rather common to dance close in tango, but it’s not a requirement. Dancing close is not an invitation for inappropriate behavior. Be sensitive to your partner’s comfort level with their personal space. Customarily, talking is inappropriate while dancing tango. Talk between songs or when off the dance floor. Never conduct any teaching or practicing at a milonga and under no circumstances correct your partner while dancing. Tango is a traveling dance; and the flow is counter clockwise, proceed courteously and cautiously, respecting other couples space, not too close , not too far. Use proper judgment when on a crowded dance floor. Only execute steps that do not violate other dancers’ space. Avoid any steps that could potentially hurt others; this is the time to use one’s milonguero knowledge. Respect your partner’s dance style. Social dancing can be a compromise when partners of extreme differences in dancing style dance together. One should always be willing to compromise. Respect your partner’s level of dancing. If you are the more experienced dancer, compromise by dancing at your partner’s level. The leader always escorts the follower off the dance floor after the dance, dancers extend their gratitude and walk away gracefully.